Home / The Buzz / Budget shortfall threatens teacher pay raises. But does it actually? And who’s really to blame? Budget shortfall threatens teacher pay raises. But does it actually? And who’s really to blame? Confusion persists regarding who exactly put teacher pay raises (STEP) and cost of living adjustments (COLA) on the chopping block when Baltimore County Interim Superintendent Verletta White was faced with reducing her original $1.6 billion budget proposal after County Executive Johnny Olszewski presented sobering news last week, stating that the county could not afford the school system’s entire request for its 2020 operating budget. During last Tuesday’s board meeting, White said Board Chair Kathleen Causey and Vice Chair Julie Henn asked her to modify her budget proposal. “My team and I took a hard look at absolute necessities. My priority was and will always be protecting our classrooms and ensuring the continuity of high-quality responsive instruction every day. With our students foremost in mind, my revised proposal remains focused on our original goals including ‘people for our people,'” White said. “At the direction, again, of the board chair and vice chair, I’ve been asked to preserve as much of the staffing requests as possible which means eliminating cost of living adjustments and step increases because you can’t do both in terms of preserving the staff requests and trying to preserve the STEP increases and the cost of living increases. This proposal does preserve current staffing and the instructional program…,” she said. White then proposed a reduction of $85 million from her original budget proposal. The implication – or interpretation – of her statements was that Causey and Henn directed her to cut specific aspects, such as teacher salary increases from the budget. Lily Rowe, who was elected in November to represent the sixth district, said on her board Facebook page,“For the record the Board did not ask for cuts to teacher pay. That was not Kathleen Causey’s idea and frankly was shocking. Not surprisingly, no suggestions were made by the Interim Superintendent about cutting anything to do with central office budgets,” Rowe said. Henn then posted the actual January 17 letter put forward to Superintendent White which read, in part, “Given the County’s fiscal deficiency, I request that staff prepare recommendations to the Board for modifications to the proposed FY2020 budget, which result in a reduction of expenditures by $91.2 million, bringing the budget in line with the County’s required MOE. I further request that these recommendations do not reduce the staffing levels as proposed, but rather, that other opportunities for cost savings be considered.” The entire letter can be viewed here. Former at large board member, Ann Miller, has warned for years that the system’s STAT (Students and Teachers Accessing Tomorrow) program would lead to a budget crisis. The laptop-for-every-student program, which began under former Superintendent Dallas Dance in 2013, has committed the school system to several years’ worth of laptop leases which is costing the system roughly $350 million in hardware costs alone. Many millions, not included in that number, are for software, licensing fees, professional development contracts, staff travel costs and central office salaries and budgets for staff members in a department created specifically to support the STAT program. For the past three years, teachers in favor of the digital curriculum program, have shown up in droves at board meetings, asking that the program continue despite some community opposition in which education advocates have warned that STAT’s costs would come at the peril of other system resources. The executive director of the Department of Innovative Learning, Ryan Imbriale, who leads the STAT initiative for the school system, organized a rally last year, warning educators that they should show their support for STAT. Imbriale urged teachers, principals and other staff members to attend the meeting to show their support, else they risked losing their devices if board members did not pass a $140 million Hewlett- Packard (HP) and Daly Computers contract since previous lease agreements were expiring. 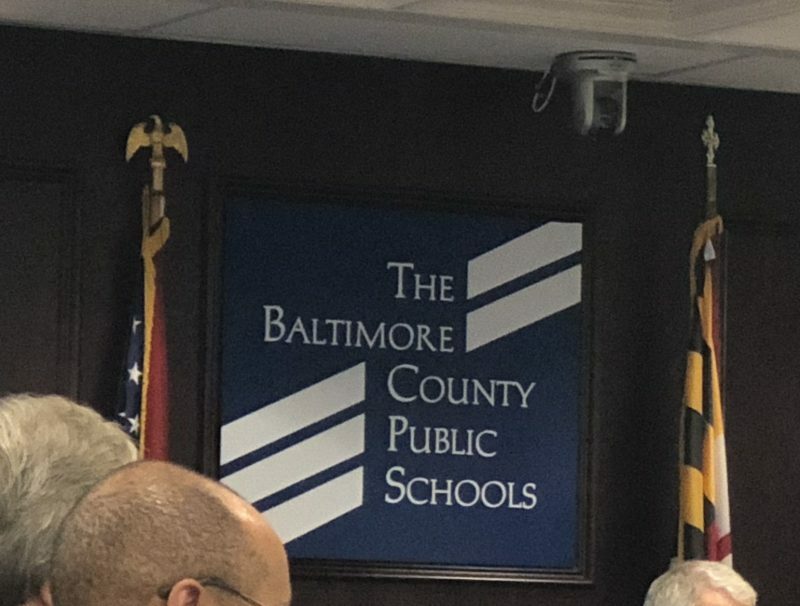 The Baltimore Post found Imbriale’s statements were contradicted by language in the actual contract the district had with HP which stated the school system owned the devices at the conclusion of each lease. Yet another central office staff member, Lloyd Brown, who ran the district’s Information Technology department, echoed Imbriale’s concerns. The contract passed and Brown left the system to work for a software company – Safari Montage – a short time later. Safari Montage is a school system vendor for the STAT program. Despite the push for that contract, in her budget proposal this year, White is also proposing a change to less expensive Chromebook devices for elementary students she says will save the school system roughly $15 million dollars over the next three years. Yet last year, when the majority of the school board voted for that $140 million contract in order to continue the STAT program using the HP devices, it committed the system to seven more years’ worth of staggered four-year contracts. But according to the district’s executive director of fiscal services, there is an out. George Sarris told board members that the system could get out of any of the leases with the vendor, so long as it was done before the execution of each years’ lease. At the time, both Causey and Henn asked their fellow board members to consider less expensive devices in order to preserve system resources. But their proposal failed to garner the support from the majority of the school board.